Oldendorff Carriers report that its vessel Erna Oldendorff has now moved to the Yanai anchorage in Japan for a further assessment by the Japanese Coast Guard of the damage following the ship’s collision with the Oshima bridge on Monday October 22. Initial reports that the vessel was sighted fleeing the scene were incorrect. It has been established that because of a strong and dangerous current near the bridge, it was impossible to anchor safely near the site of the accident. The Master reported the accident and then the vessel proceeded to its planned safe anchorage at Etajima, Japan. Erna Oldendorff made contact with the structure causing damage to a water supply pipe and internet cables. 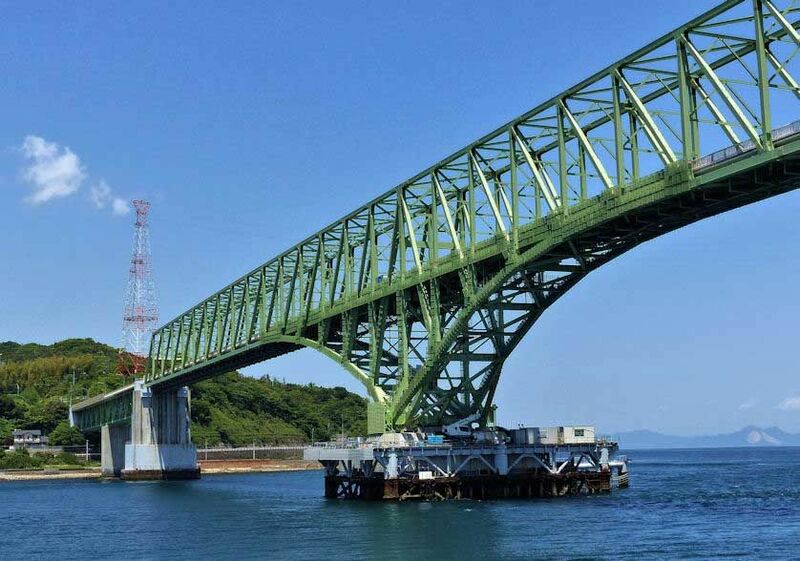 The Oshima bridge is temporarily closed for traffic, but it is reported that one way traffic will resume on the morning of October 24. There were no personal injuries and no pollution as a result of the incident. Erna Oldendorff sustained damage to its mast and 3 cranes. Immediately after the incident Oldendorff Carriers informed all relevant authorities and parties. There are 21 qualified crew aboard who are cooperating fully with the Japanese Coast Guard investigation. Representatives of Oldendorff Carriers and the P&I Club are attending to the crew and the vessel and are in contact with the authorities. The Japanese Coast Guard have started a full investigation to the cause of the incident which is still unknown. Oldendorff Carriers are meanwhile offering their full cooperation to the investigation. Once again the company would like to apologise for the impact and disruption which has been caused to the local community.